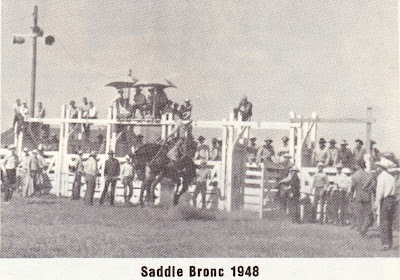 Now, before you start throwing railroad spikes at me, I don't believe for an instant that North Platte has any competition for the title of Rail Town USA. 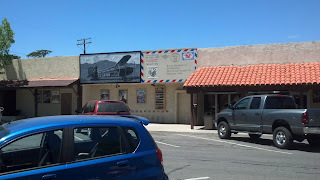 However, I spent an interesting afternoon in Tehachapi, CA. Tehachapi is a railroad town. 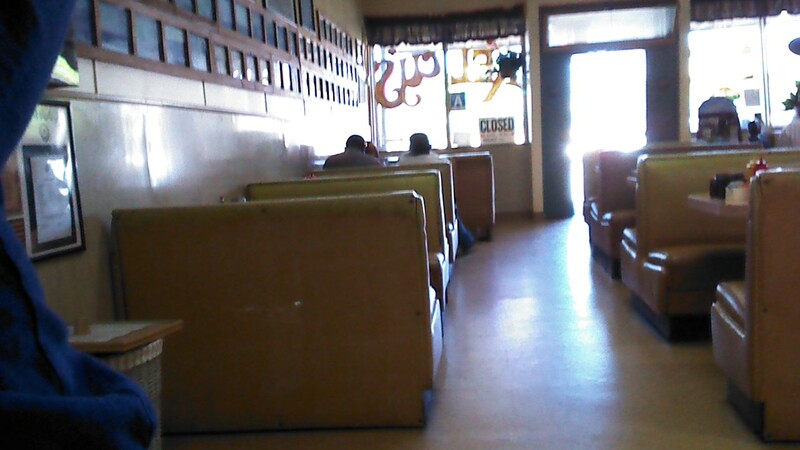 The sign at one of the cutest little diners I've ever been to offers a 10% discount to UPRR and wind energy employees. 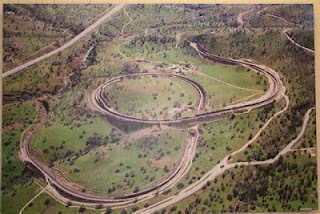 Tehachapi's main claim to fame is the Tehachapi loop, where the UPRR and BNSF shared tracks completely loop back on themselves to rise 77 feet in elevation. 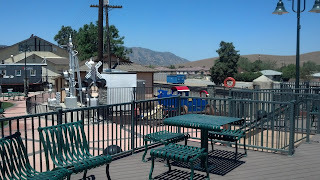 Rather than be discouraged, the town constructed a replica and built a viewing deck around it for the 50 or so trains that pass by, and filled the depot with artifacts and tidbits of the history of the town. 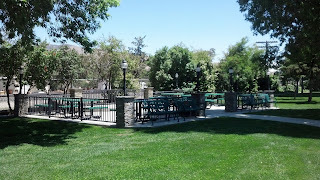 Further on down in the cute little park that lies between the Tehachapi Highway and the railroad tracks is another quaint little viewing platform and picnic spot. 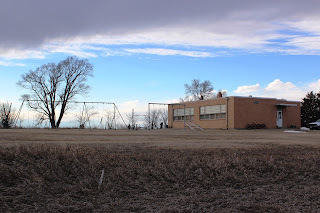 As of the 2010 census, Tehachapi had just over 14,000 people, which would make quite a large town for rural Nebraska, but a pretty small town for California. One thing it does have going for it is a very active Main Street community. 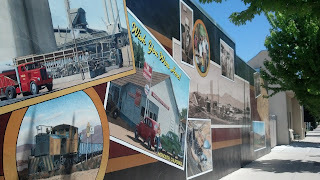 One of the projects they have undertaken in recent years is the painting of a series of murals depicting early life in Tehachapi and milestones in its history. They've also created a great historic walking tour, and have made sure that all of the signs, whether for streets, municipal buildings, historic sites or business are cute and in keeping with the atmosphere of the entire town. 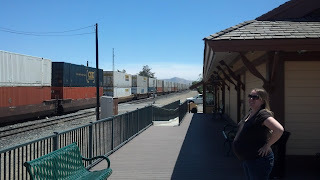 We very much enjoyed our time in Tehachapi, and would love to go back and spend some more time there, but what I want to stress, is that the town itself ISN'T REALLY ALL THAT SPECIAL! If you visit the Chamber website, the Main Street website or the official municipal website, you'll see that there aren't that many attractions, and not a whole lot of businesses that have a huge appeal to visitors. There are many towns that we have visited that have lots more things to do, but Tehachapi has worked very hard to capitalize on what they have. There are a couple of artist co-ops, a movie theater, a performing arts theater and one of the cutest home-town diners we have ever seen (get the pie!). Otherwise, it's businesses with local appeal. They figured out that if they kept their town pretty and quaint, capitalized on their history and culture, worked together, it would make life much more pleasant for their residents, and would get a few visitors speeding by on the freeway to stop and spend some time and money. And just to throw in a random picture, below is the huge Tehachapi wind farm located just outside of town. Thanks for stopping by. The coffee is always on. Did these thoughts stir any ideas of what could be done in your small town? Not into trains that much, but I have to agree, the Tehachapi loop is kind of impressive. 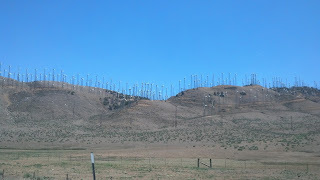 The wind farm? Not so much. Personally, I think wind farms are usually an eyesore. 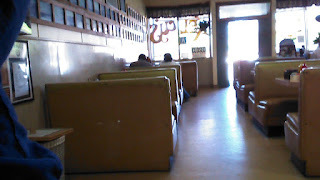 Like you said, Tehachapians are doing the best with what they've got. 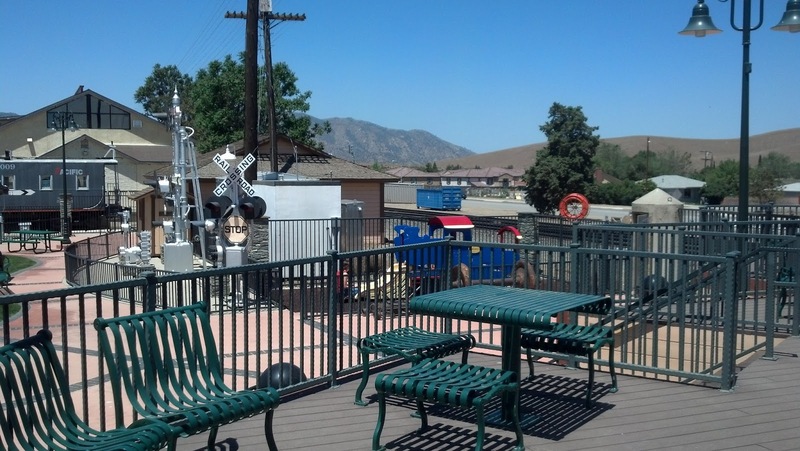 Compared to many of the greater L.A. communities, Tehachapi is a nice place to stop and take a break. Enjoy your visit to California. Don't get sucked into the populated areas of our state, take some time to enjoy the areas where no one lives. Thanks Captain! It is a beautiful community. Really enjoying the Antelope Valley. The weather (except for the High Wind Warnings every day - hence the wind farms, I guess) has been wonderful. Highs in the 70's and 80's. A nice break from the wild weather back home. Had a new grand baby while I've been here so haven't done too much sightseeing, but it's a nice area.